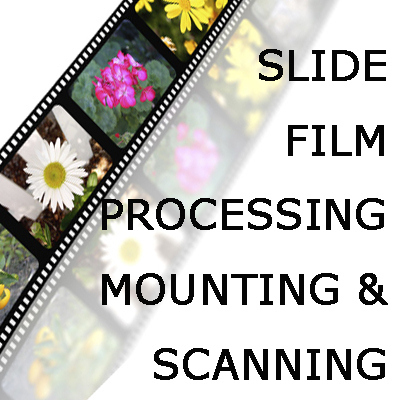 Please choose the film type that you would like processed or scanned from the options below. We process and scan all types and makes of Colour, Black and White and Slide film including 35mm, 120, 127, 110, 620, 5x4" sheet. There are options to push and pull black and white film and e-6 slide film, however this service is not available for c-41 colour film. Please choose the appropriate film type from the options below which will take you to the relevant information for each film type required. We have two methods for ordering your services, the automated payment online option can be placed by clicking any of the purchase now links next to the products you require or click on the order form link to send your details manually. We make our services as explanatory as possible informing you along each step of your order from receipt to despatch and with our new scheduling system we will tell you exactly the day your films will be processed and your expected delivery date also.